Rear FXR, late 1985 to 1999. 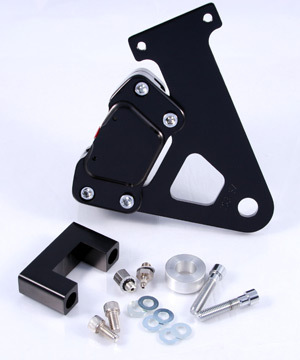 This kit includes a machined bracket that fits around FXR square swing arm. It is a direct replacement bolt-on kit for FXR bikes. Kit requires 5/8" bore master cylinder. Available in Classic, Chrome, Smooth Chrome, Black and Smooth Black.